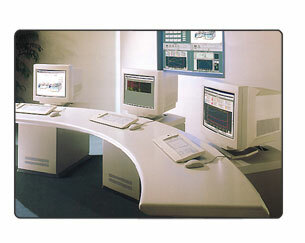 Toshiba is a Market Leader in Control Systems with extensive experience in automating processes for most Industries. Toshiba International Corporation offers a complete turn key engineering solution for process applications from the Enterprise Layer to Field Equipment. Known for its technology leadership, Toshiba employs a diverse and multi-disciplined engineering team capable of bringing home the most technically demanding projects on time, within budget and with high levels of customer satisfaction. Toshiba quality in both its products and engineering ensures the lowest possible life cycle costs and the security brought by a large multinational supplier. Equally at home with a simple PLC application to complete plant automation projects, Toshiba applies the same exacting standards to all its projects. Capable of providing and integrating the complete Electrical, Control, Drive, Motor and Field package from a single source Toshiba can also address the plant hazard and safety issues. Meeting the increasing demand for integration of the Plant Control Systems and the Enterprise System, Toshiba can automate work instructions with security and genealogy. Other business solutions which can be provided include Energy Management, Asset Management, Downtime Analysis and Operational Efficiency. What ever your application or industry Toshiba is your experienced Control System partner. Click here to see our Controls products.